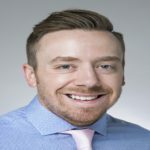 Brandon Hall is a Senior Consultant with The Wilshire Group with over 12 years of HIT experience, specializing in revenue cycle management and optimization. As a former Epic employee, Brandon brought over a dozen healthcare organizations live on Epic. He also served as a Program Manager for 25+ projects to ensure the project teams met key milestones and addressed top issues. With a critical eye for process improvement, he held various internal roles responsible for refining install processes and improving outcomes. After Epic, Brandon took a Project Manager position at Dean Health Plan (a member of SSM Health), leading the organization through two upgrades of their medical claims adjudication system. Brandon joined The Wilshire Group in 2016. His first engagement was with the U.S. News & World Report’s “Best Hospital”, ranked #1 Cancer Care, MD Anderson. During the implementation, Brandon served as the Parallel Revenue Cycle Testing (PRCT) Lead during the months leading up to go-live, managing all testing efforts with access, clinical, and billing teams. Once live, he served as a liaison between IT and Operations, aiding in accelerated solution delivery and optimization. Brandon partnered with Billing, Coding, and Revenue Integrity leaders for many facets of AR management. One of the biggest efforts was Candidate for Billing (CFB) reduction, which our team was able to drop by more than 50%, putting MD Anderson within healthy industry guardrails. Currently, Brandon is working with Louisiana Children’s Medical Center (LCMC) as an Operations Revenue Cycle Project Manager, partnering with their Revenue Cycle leaders through 3 waves of Epic implementation, stabilization, and optimization.